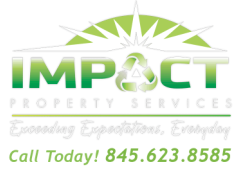 ﻿Impact Property Services provides full junk removal, garbage, demolition debris removal and hauling. If you have 1 piece of furniture to be disposed of, or a building full of old j﻿unk, we will provide the trucks, the men, and the piece of mind to get the job done fast, and without headaches. We recycle at least 90% of debris from each job, sometimes achieving 100% rates. We look to donate furniture to charities or people in need. You have chosen the "Greenest" company in the area. Need an old car removed? No problem. Got a new refrigerator, and can't get rid of the old one? We got it. Full house cleanout? Our specialty. Does your yard look like something from Jurassic Park? Let us tame it. Obsolete building or factory? We love it!! Bring it on! Impact Property Services has hundreds of people looking for your junk. Our prices can reflect a use for your unwanted materials. Sometimes, we can offset a project to where a client receives money back. Our crews are well trained, we show up when promised, and complete the projects as fast as possible with a "broom clean" finish. Whatever you need, We can do it, or get it done for you. ﻿No job is too large or too small. We are looking for "CFL'S" (customers for life) We go out of our way to treat each client like family. We send reminders, offer maintenance agreements, offer customer loyalty discounts, and offer contests for free work!